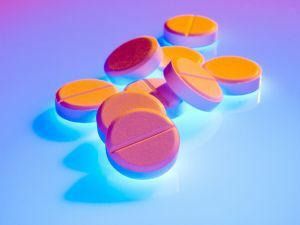 Prescribing opioids for pain can be a routine part of medical treatment, however, opioids are a national dilemma and though patients may need them for pain management, they are also highly addictive. Some patients being administered these prescriptions are recovering from opioid addictions and face a high-risk of relapse. And, because some more unscrupulous health care providers use “pill mills” to make money, there is a strong push in many states to protect patients. This push has brought about a new idea – patient directives that notify providers NOT to prescribe or administer opioids to them. Opioids are a drug class that includes heroin and powerful prescription pain relievers. While prescriptions like oxycodone, hydrocodone and the like can be an effective and typically safe means for pain relief after major medical procedures such as surgeries, they create a euphoria that is highly addicting. As such, they are easily misused and even when taken per a physician’s orders, they can create dependence. Adding to the addicting power of opioids is its overprescription in American medicine. According to the CDC, although there has not been a change in the amount of pain Americans are reporting, the sale of prescription opioids has quadrupled in a 15 year period. To be certain, legitimate pain clinics are not the same as pill mills. Pill mills can be distinguished by a large number of patients and prescriptions as well as a small amount of medical exams associated with these prescriptions, according to Healthline. Deaths due to drug overdose continue to rise more each year in this country. Over the past 18 years drug overdose deaths involving opioids have nearly quadrupled. The U.S. is in the middle of an opioid crisis and agencies and advocacy groups across the nation are seeking ways to prevent, treat and hopefully stave off the continued growth of this epidemic. Georgia has proposed SB 81 to curb the abuse of prescription opioid painkillers and the bill passed the state Senate this year. The bill would allow the over-the-counter sale of an emergency opioid blocker that keeps individuals from drying due to an overdose. The bill also provides a means by which a doctor can see if a patient has received a prescription for opioids recently. This information will give doctors the ability to prevent doctor-hopping for the purpose of receiving more drugs. Some states are even implementing legislation that would allow patients to create directives for their medical files that inform health care providers that they do not want prescriptions for any opioids included in their care. Although patients already have a say in the type of medical treatments they do or do not want, “non-opioid directives” become especially useful in the case of patient incapacitation where the patient cannot communicate their wishes. Advance directives such as these also serve as an extra wall of prevention for those recovering from addiction and hoping to avoid a relapse.